Helen shares her recipe for making the most delicious and light chocolate mousse. 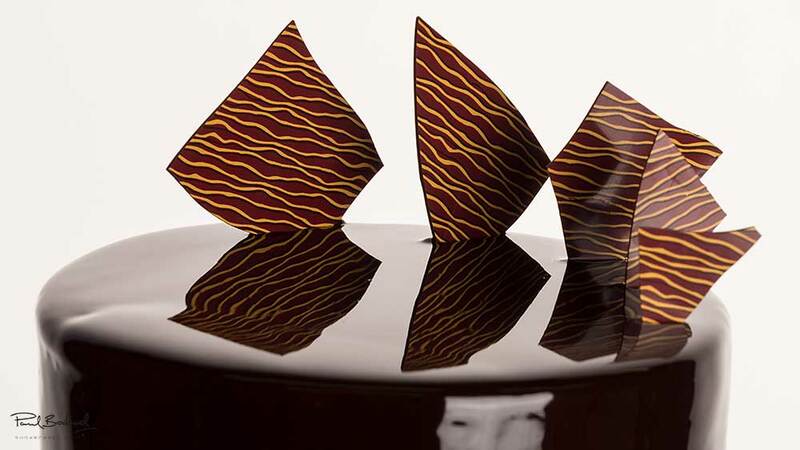 You will see that with mousse, temperature is everything and with pastry work precision is a must. If you don’t have a thermometer we suggest that a worth investment might be a digital probe thermometer. Here we learn how to make a delicious mirror glaze and once again accuracy is key. Helen uses quite an expensive hand blender which is fantastic, but any electric blender you have available in the kitchen should do the trick. 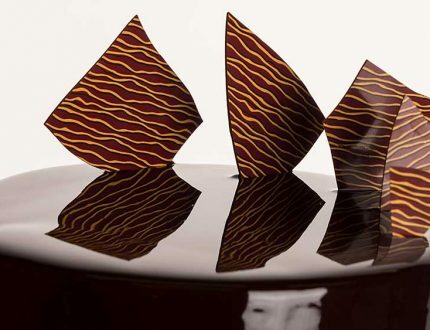 In this lesson, Helen and Paul start to decorate the mousse with pieces of decorated tempered chocolate which is covered in one of the later lessons. Paul has a nice chat with Helen and we learn a little more about her background with some great ideas and tips along the way. Making tempered chocolate can be quite scary as well as messy but Helen keeps us right and calmly shows us how to get it perfect every time with minimal fuss…and of course it tastes fantastic. Now it’s time to bring the chocolate out and see the results. Just look at how shiny it is! Remember and be careful when popping the shapes out as the chocolate is very thin and delicate. You will be surprised just how easy this is to make and believe us when we say just how incredibly tasty they are once they are done. These are seriously moreish and sure to make you popular at any party. Now we see them out of the oven and it’s time to now fill them with the lovely flavoured ganache. 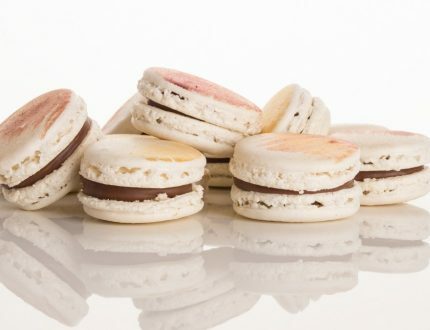 In this lesson, Paul joins Helen for a nice chat as well as to help decorate the macaroons using some lovely dusts applied with a thin fan brush. The results are just wonderful! Paul now offers you some fresh ideas on how you can use Helen’s three tutorials. Here, we’ve carefully selected the key parts from the entire tutorial and condensed it into an 8 min long video. More than enough to get you started without taking up too much of your time. 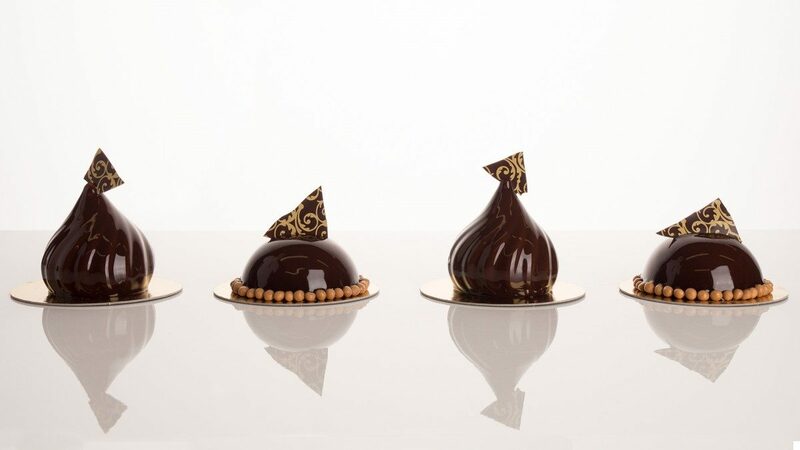 Helen Vass is an award-winning pastry chef based in Glasgow, Scotland and runs her own patisserie & consultancy business - Dulce by Helen Vass. She was part of the winning team of BBC2's Great British Bake Off Creme de la Creme and has a very impressive resume which you can read about here. Helen also has a real treat for you!! As this week you are getting 3 tutorials instead of 1! 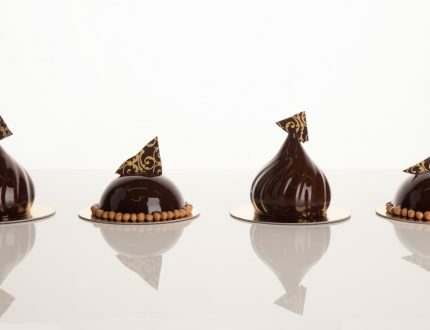 Firstly, you will learn how to make the most delicate chocolate mousse covered in delicious mirror chocolate glaze. 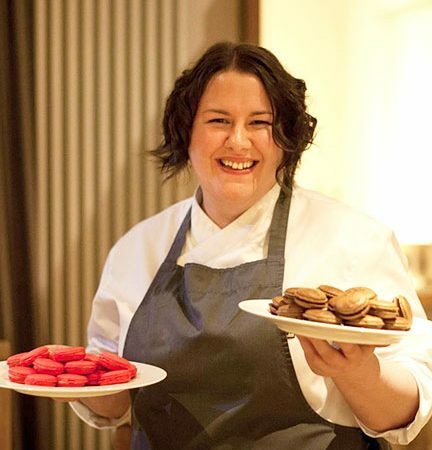 Secondly, Helen will show you how to make your very own tempered chocolate. 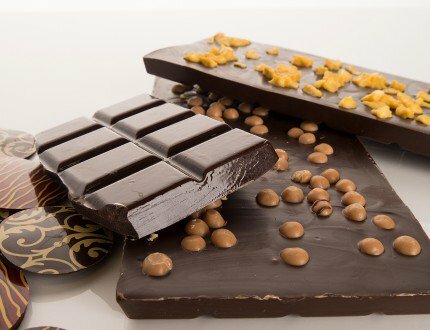 This will include making both delicate decorative chocolate as well as thick flavoured bars. 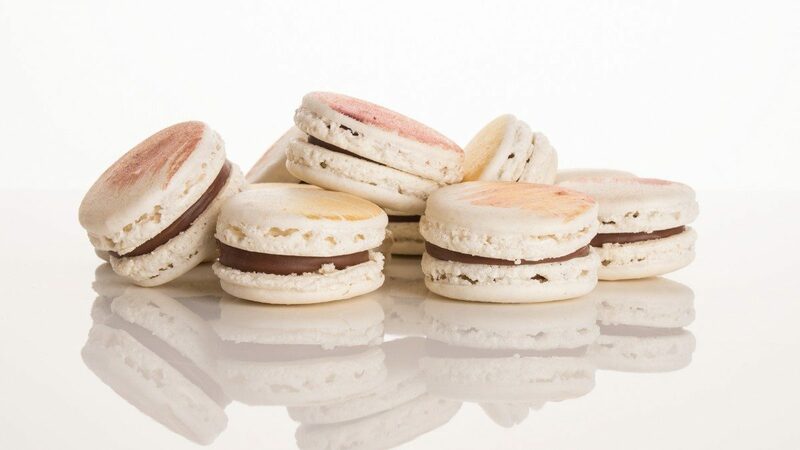 Then lastly you will learn how to make ganache filled macaroons! With these three new skills on top of your cake decorating you will be the swiss army knife among cake decorators. Come and join Helen and make some beautiful tasty treats!